I see those happy tails!!! 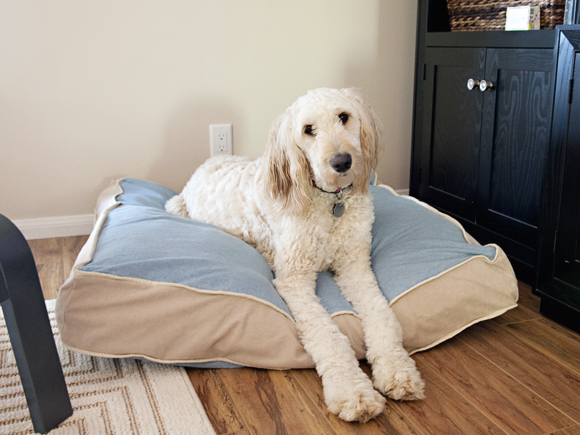 Our friends at BHG share a great and easy DIY for this comfy doggie pillow…this one is certainly bright and cheery! 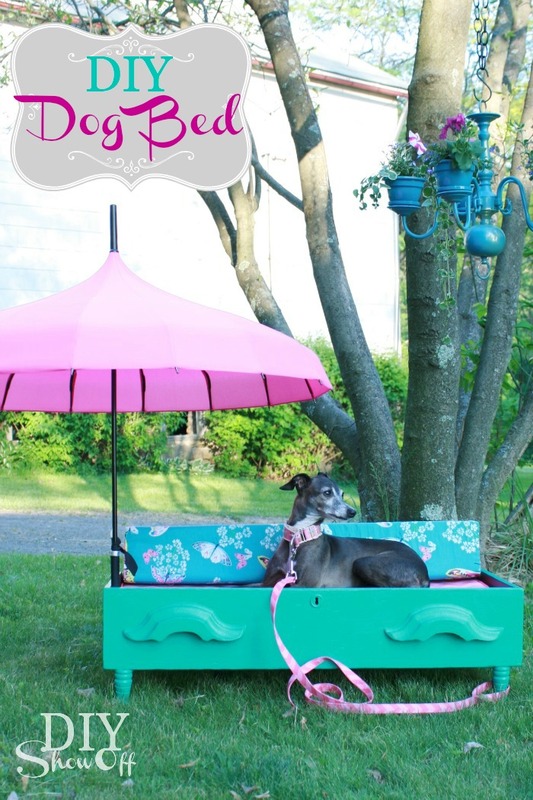 Put your special spin on it with your pooches favorite colors and I think we have a perfect napping place for any furry friend! For those of you that are blessed with the talent of being able to crochet…this one is for you! Crochet World shares the complete DIY with clear and concise instructions! CocoRosie’s new bed look not to mention how STUNNING she is!!! Yes…the full DIY is waiting for you! I simply adore this! Here’s another fun pillow bed from Stitch Craft Create! 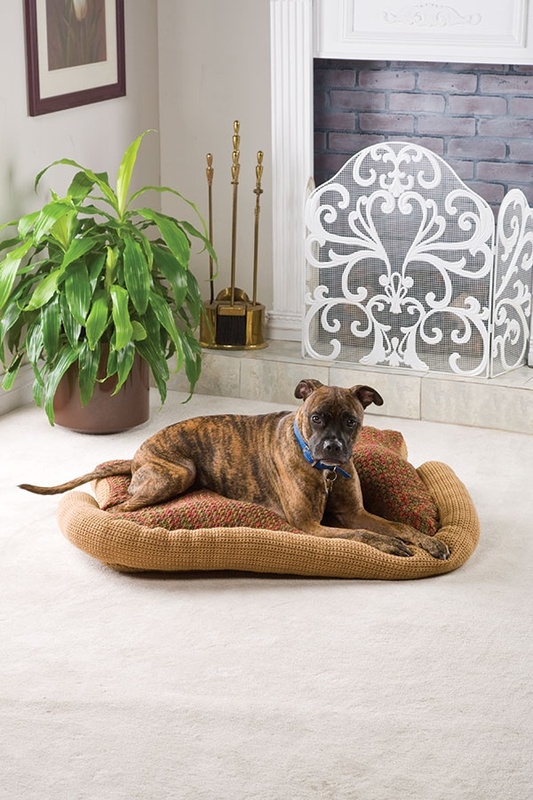 Looks comfy cozy and I love that you can play with different colors and patterns to create the perfect look for you and your pet! This idea is fabulous! 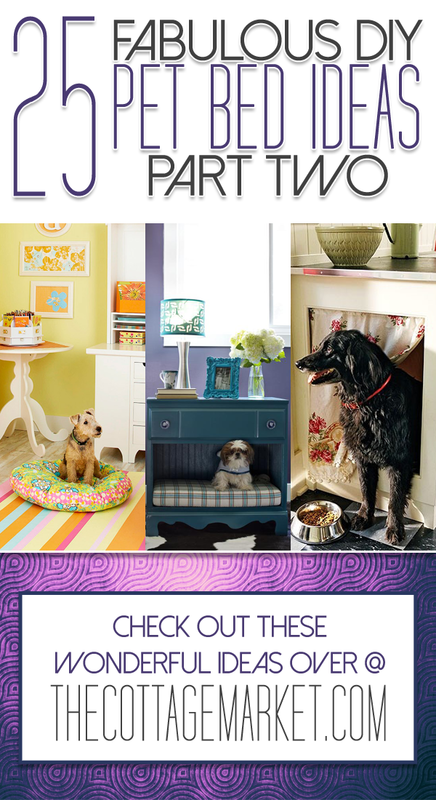 apartment therapy always has such amazing creations! 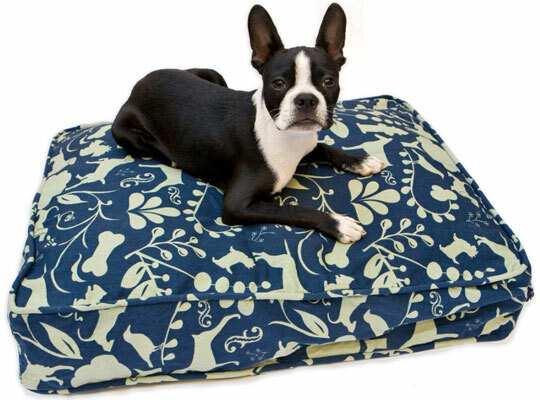 Here is a brilliant idea…make a Doggie Duvet! That way you can change it up! 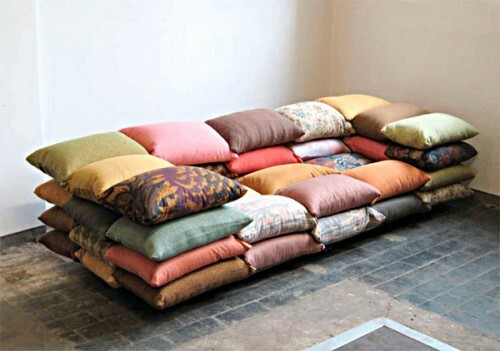 The stuffing is old clothes…towels and sheets…a brilliant idea! Let’s not forget a special design for the Kitties! 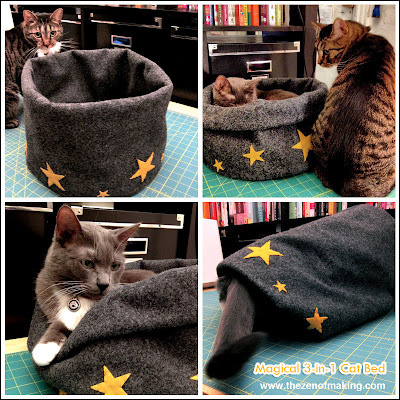 shares a tutorial for a Magical 3 in 1 Cat Bed! 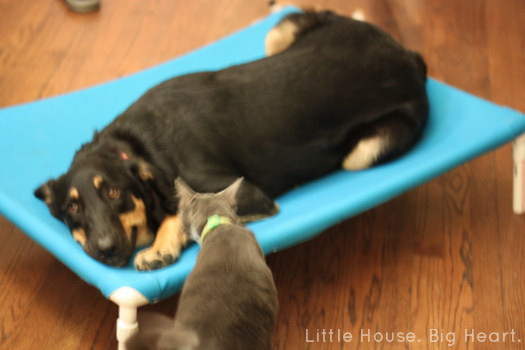 took a pinterest challenge and created this great raised dog bed and of course she shares the full DIY! Somebody looks comfy…I think he is going to share with Miss Kitty! 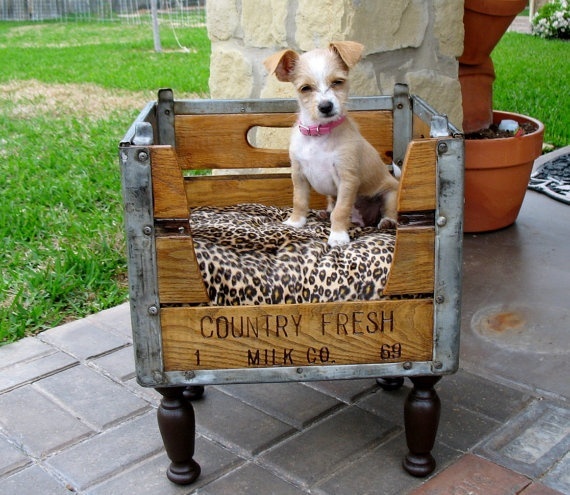 with this adorable crate bed! Check it out…a few more styles are waiting for you there! 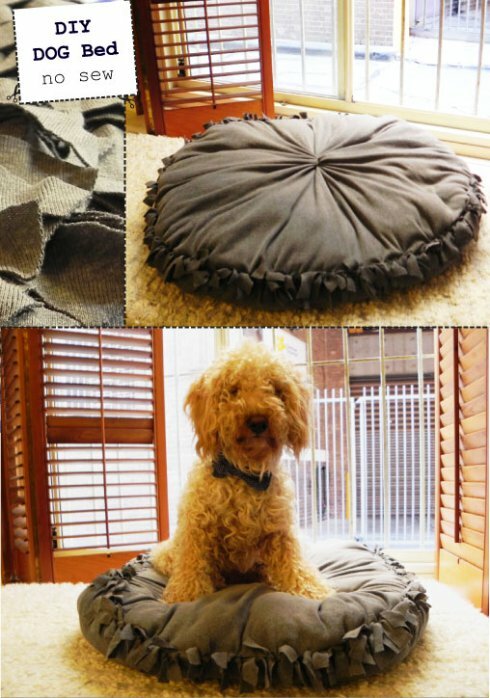 shares a wonderful DIY from how to construct the pillow to the gorgeous cover! I am just loving every upcycled project I see lately and this is no different! How adorable that it is personalized???? So many possibilities for every different style! One thing…please please please make sure that the pallet was not treated…DO NOT use a treated pallet for a Dog Bed : ) Want to keep pup safe at all times! 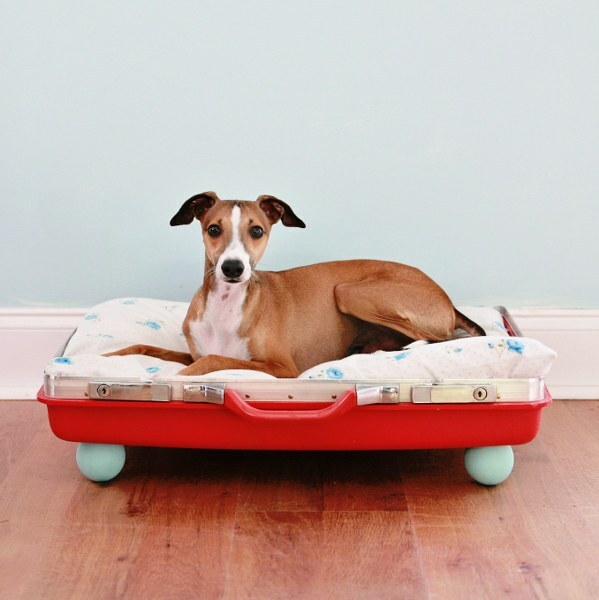 Ok all of you Good Will hunters…your mission…a great samsonite vintage piece of luggage…it’s a natural for a pup or kitty bed…add a cushy pillow…some funky legs and voila! 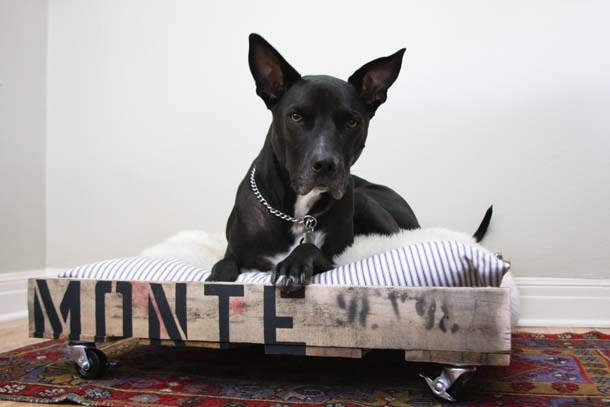 shares a great little DIY so your furry friends can have a cool new fashionable bed that looks awesome! BHG comes up with yet another very clever idea! 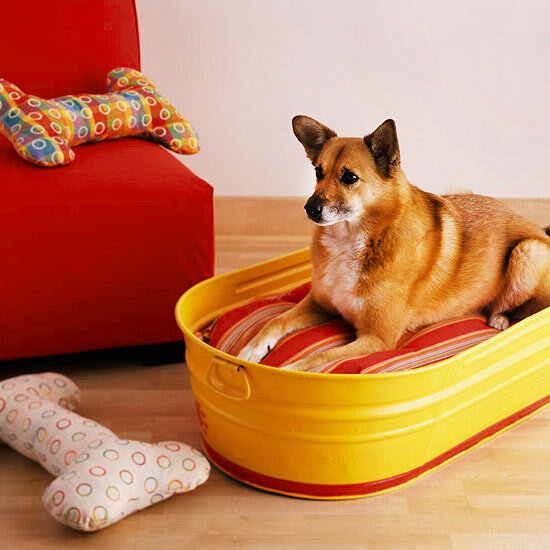 A Double Duty creation…a bath tub by day and a bed…well whenever your pup is not taking a bath! Simple and looks really cool! There are some more cool ideas here to check out! 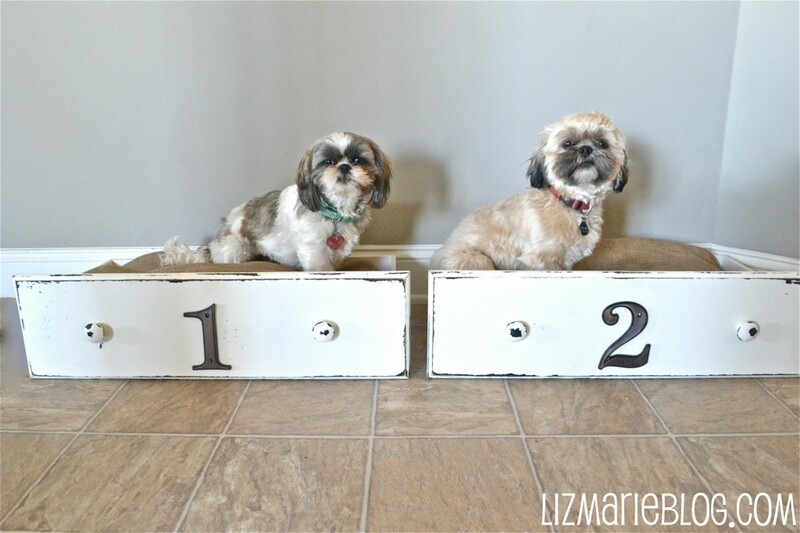 has one Stylish DIY for a Pawsh Project for Pets! I saw this on pinterest and the pin was BLOCKED…so I am just sharing this idea with you…If you happen to have a empty cabinet…how cute is this! 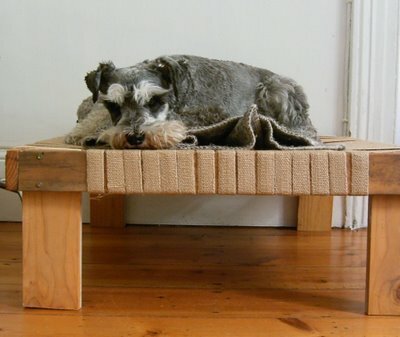 has created a woven wonderful space for the pooch! A bit of elevation and give that so many pups enjoy! A great DIY is waiting for you. 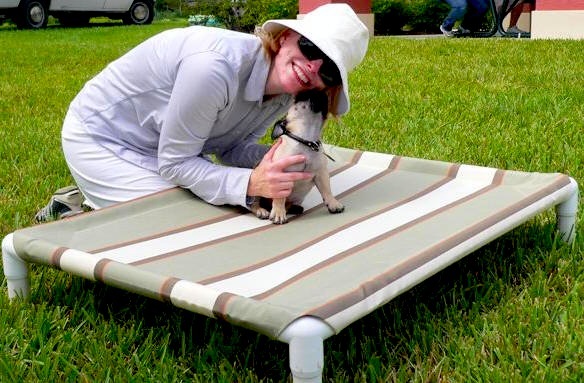 So simple and your pup or kitty will be ready to snuggle up in no time! If you have CVS around you…they were selling full fleece blankets for $2 on markdown…a great way to experiment with one of these! 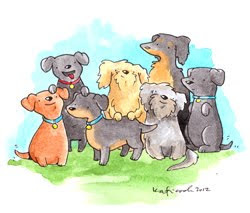 This is a really cool doggie blog with dog training tips and more dog related projects…check it out…your pup or pups will thank you! 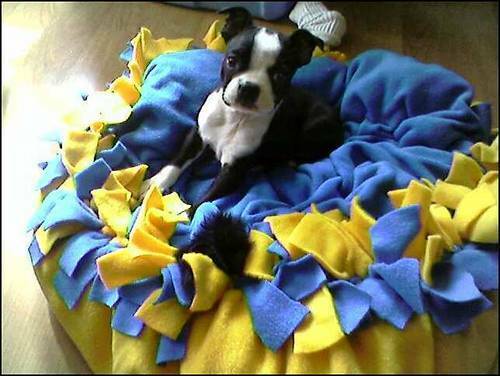 has a brilliant idea for that crib mattress that is not being used any more…why not upcycle it and create a dog bed!!! Get the DIY…a great idea for sure. I never tire of seeing what new uses there are for drawers! This is an awesome idea X2! 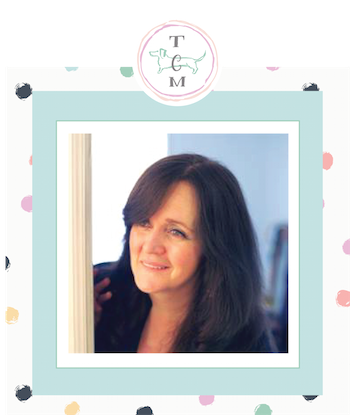 Check out Liz Marie for the scoop! 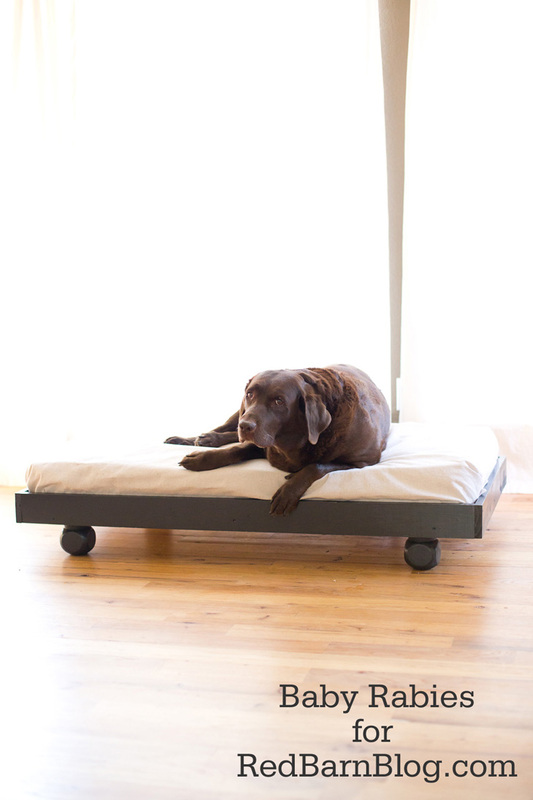 Here is another great elevated Doggie Bed with a little bit different style…It comes with a step by step video tutorial! is UPCYCLING too! 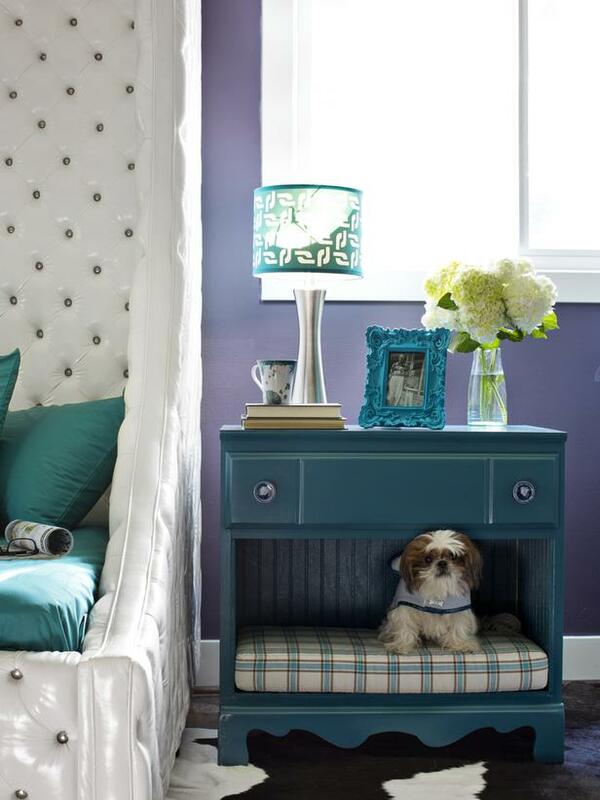 That’s not a big surprise…check out this little end table doggie bed…a brilliant idea. One more cool idea from the diy Network! 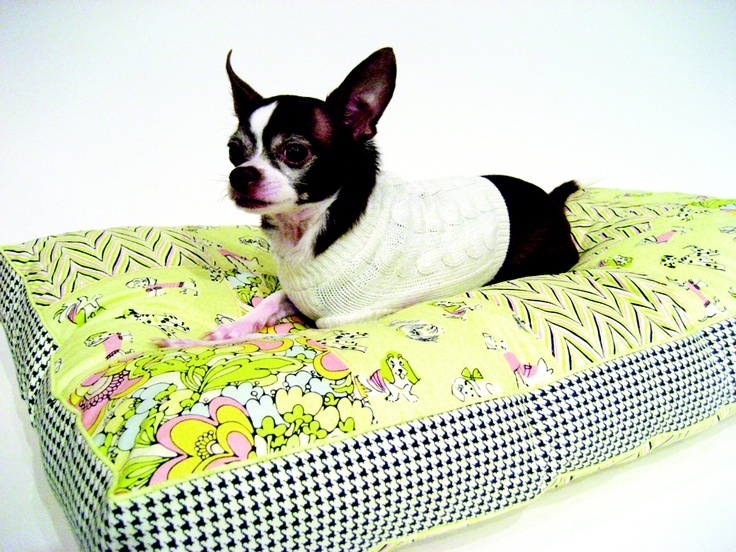 A doggie bed for people on the go! You can take your pooch with you and keep them safe from all those nasty bugs as they take a little nap after their walk! A basket and a pillow are always a great idea! 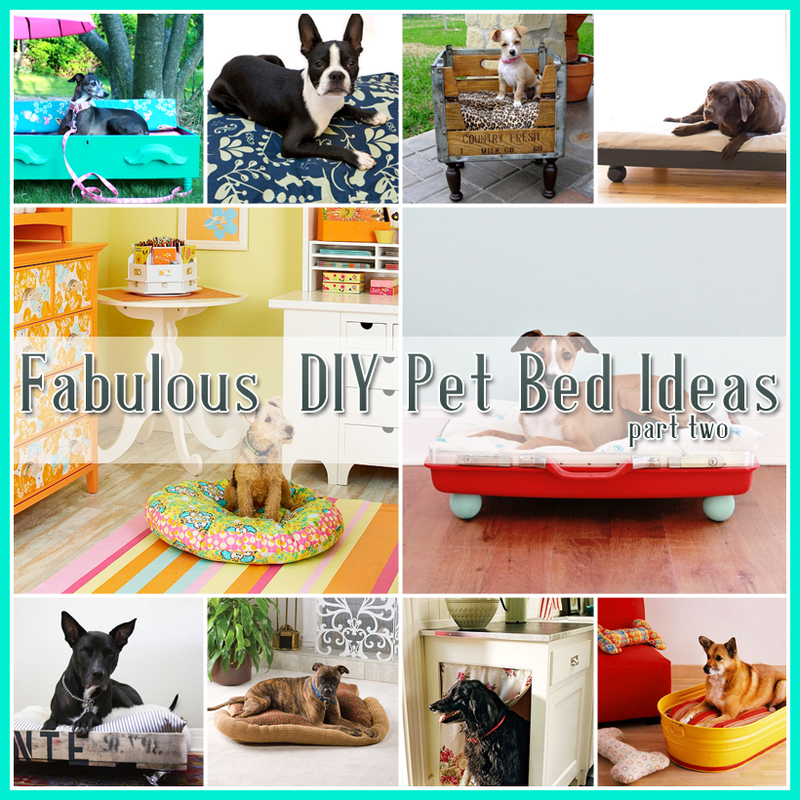 Hope you enjoyed these Fabulous DIY Pet Bed Ideas! I bet you your furry friend will LOVE THEM!!!! White Sox game last week where he posed with people in the lounge and scored a homerun with everyone’s heart! I had to share him with you…at this house hold we have a few special dogs we follow…you remember Lentil who just had his surgery last week and is doing great! He is back to making special appearances making everyone smile and then there is Manny and he rocks! If you are looking for a smile…check him out!!! 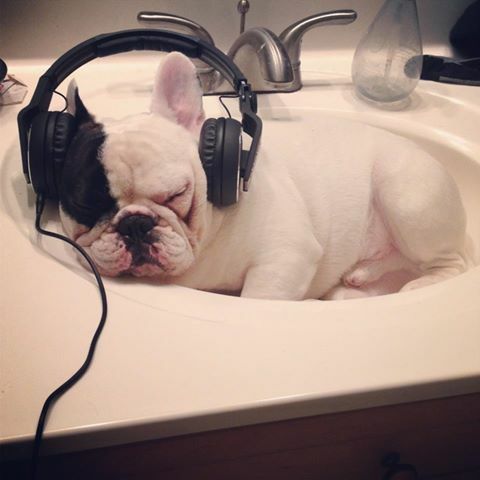 You are going to have tons of fun with this little guy…had to share him with you…he’s going places! It’s a great way to make a difference in the world and restore happiness in a little furry friends life! oh my word!!! And I thought the first round up was Adroable!! AHHH!! I cant take the Preciousness!! 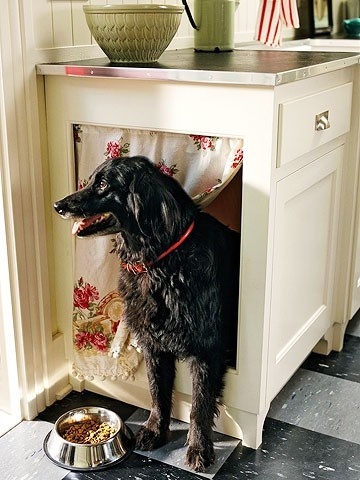 I loved this post, lots of creative dog beds to get me thinking of making one, but the bed that amused me most was the black and white dog in the black and white dog bed, just too appropriate! These are such CUTE ideas!! My little Cashew is almost 11 years old…and she just started laying on a bed I bought for her! LOL It’s now under my desk! 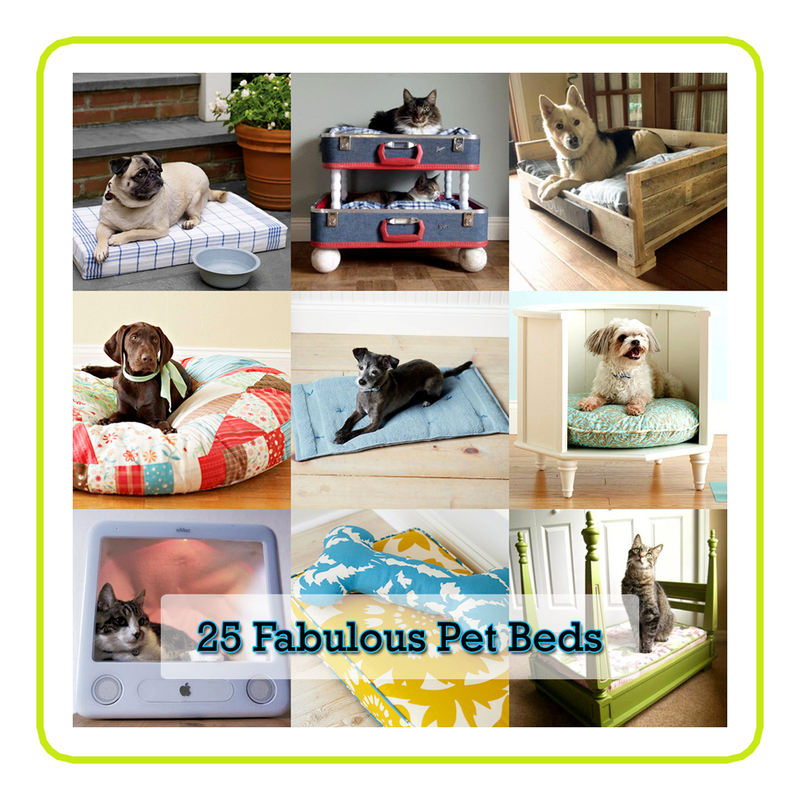 Thanks for finally writing about >25 Fabulous DIY Pet Bed Ideas …part 2 – The Cottage Market <Loved it! These are just adorable. I want them all but my husband will only let me have two dogs (who are the cutest ever) so I would have to go with the crate and the end table. Thanks for sharing. Oh My Gosh I love the dog beds .Please give us more.I love everything you post!!!!! Thank you for sharing your gift!